Life is hard. You drive your luxurious Mercedes to the marina, and then you have to leave it land-locked while you board your yacht. If this sounds familiar to you, you’re a very lucky individual. But you won’t have to make that compromise anymore, as Mercedes is ready to brave the water. Marking its world debut on the Côte d’Azur, the vessel is the first example of the new Arrow460-Granturismo designed by Mercedes-Benz Style for Silver Arrows Marine. As we’ve seen in previous stages, the motor yacht strives to combine the best of automotive design and naval architecture in one 46-foot form with car-like proportions. 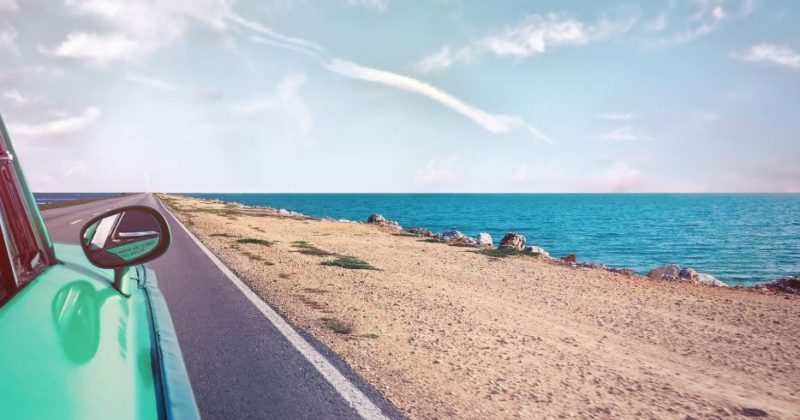 Rather than separate the interior from the exterior, Daimler’s designers penned the vessel with retractable side windows and a windshield that can be raised to open up the cabin. The interior is coated in eucalyptus wood and furnished with adjustable tables, on-board wine cellar, bathroom, and dressing room. No skimping was made in the engine room, where Silver Arrows Marine fitted a pair of diesel engines made by Yanmar with a combined output of 960 hp. That’s enough to cruise at 28-30 nautical mph and top out at 40 nautical mph. This isn’t the first time we’ve seen an automotive design house create a yacht, nor the first time Mercedes has assigned its designers to venture beyond automobiles. Heck, it’s not even the first time we’ve seen Mercedes partner on a boat launch. However, this could be one of the most stylish transitions from shore to sea we’ve seen yet. 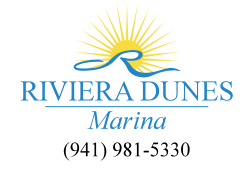 Of course if you are looking to see some of the most luxurious yachts in all of Florida, be sure to stop by Riviera Dunes Marina. 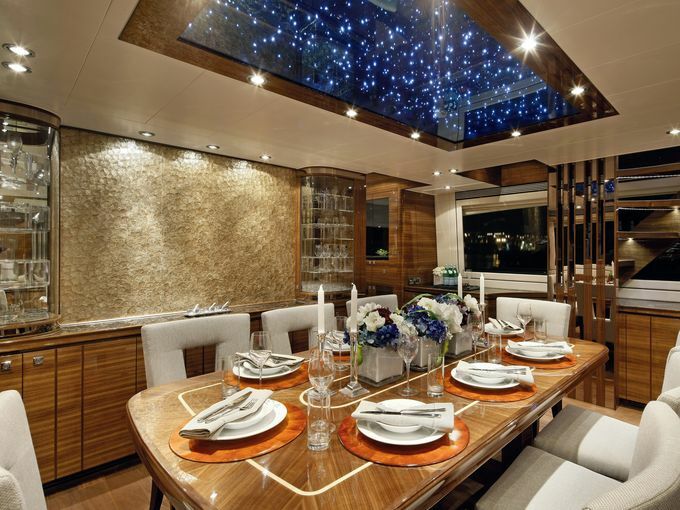 With a specialty in luxury yachts, our tenants have a few yachts that may make your mouth drop in excitement. Looking to stay next to these beautiful boats? Be sure to rent a slip and enjoy the luxurious views 24/7 at Riviera Dunes Marina. A coworker visiting Australia during the holidays was surprised to see a 70-foot yacht in Sydney Harbor with the name “Visit Seattle” fixed across the hull. The yacht is taking part in the “Clipper Round the World Yacht Race,” an adventure that will bring the yacht through 14 ports around the world in just under a year. Visit Seattle, a public-private partnership that markets the region, launched the race last summer to promote the Puget Sound area as an international visitor destination. The Clipper Round the World Yacht Race, which benefits Unicef, is the world’s longest ocean journey. The race consists of 12 teams competing against each other over 40,000 nautical miles. “The race gives us a great opportunity to take the iconic image of our skyline across the globe and helps to position our city as an exciting, international destination,” said Tom Norwalk, Visit Seattle president and CEO. Since the race began last summer, the yacht has already visited several ports. It will next travel to China before returning to Seattle. Then, it will head to Panama, New York, Northern Ireland, The Netherlands and the United Kingdom. The yacht race is only one of several strategies created by Visit Seattle, which is working to attract tourists from all over the world. 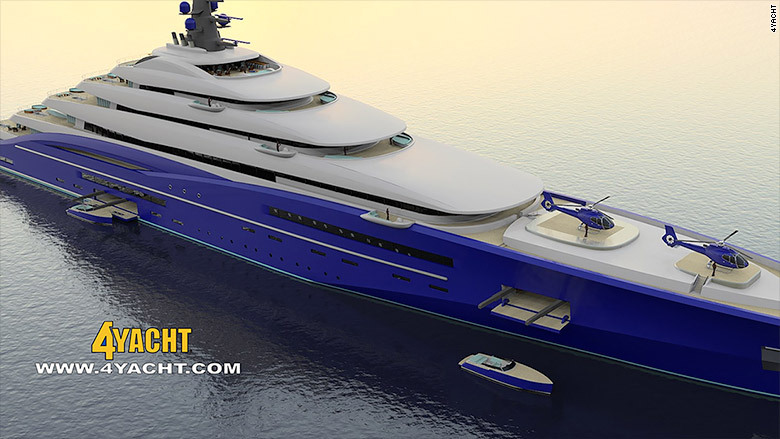 How would you love to see a yacht like this around the Manatee River? Would you love to see a “Visit Bradenton” yacht sailing around the Gulf of Mexico? Here’s to hoping that we can get a glimpse of marketing like this in the near future from one of our amazing slip owners over here at Riviera Dunes Marina! For over a century, the rich and famous have been making a spectacular entrance with their yacht including Johnny Depp, Steven Spielberg and Tiger Woods. What seems to be an invention of the twentieth century? Privately owned luxury yachts. Boatbuilders began creating the first creational yachts for the wealthy in the early 1900’s. 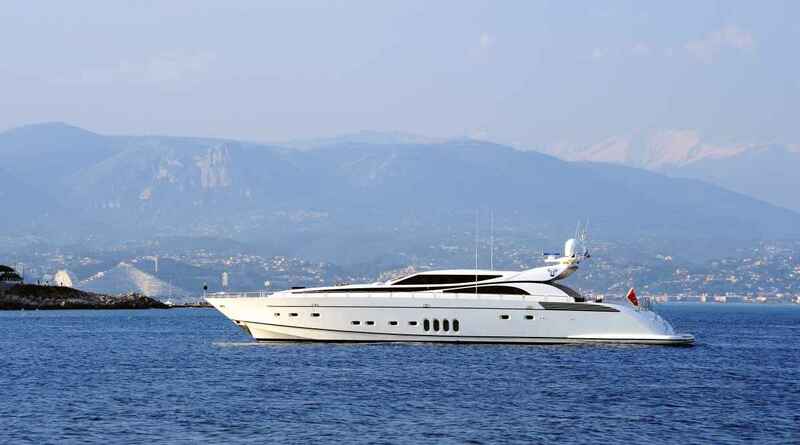 It wasn’t until mid-century that owning super yachts became popular, we can partially thank Aristotle Onassis for that one. In 1954, Onassis bought a 300-plus foot Canadian Frigate, Christina O and spent millions creating the world’s first floating playground. Christina O carried many Hollywood stars, American millionaires and world leaders. 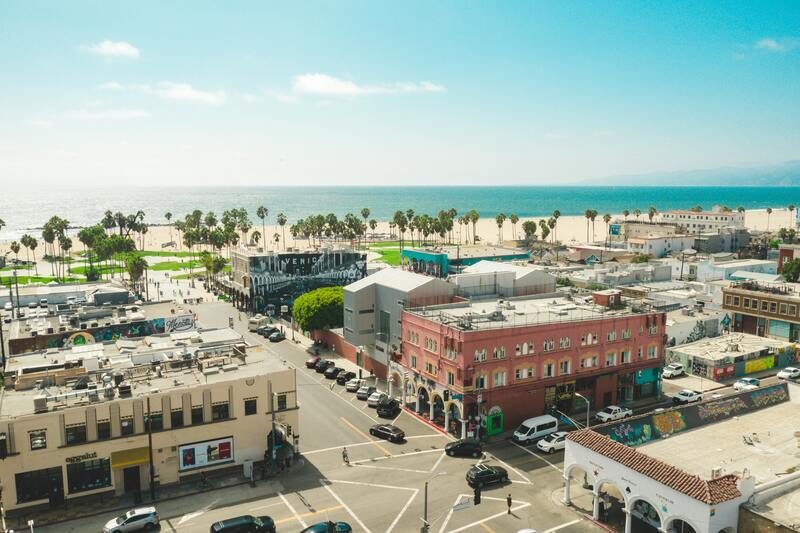 Shipyards that had once only build navy and merchant vessels started building luxury yachts during the 1960’s and 1970’s due to the new demand. 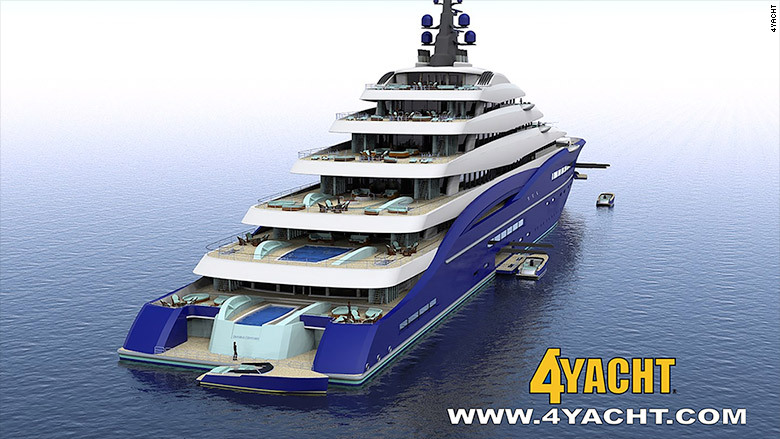 The mega yacht industry quickly expanded and then contracted with the world economy. Today’s yachts can exceed 500 feet compared to the yachts in the 1990’s that were from 75 feet to 200 feet. These yachts that exceed 500 feet are now being called “giga-yachts”. 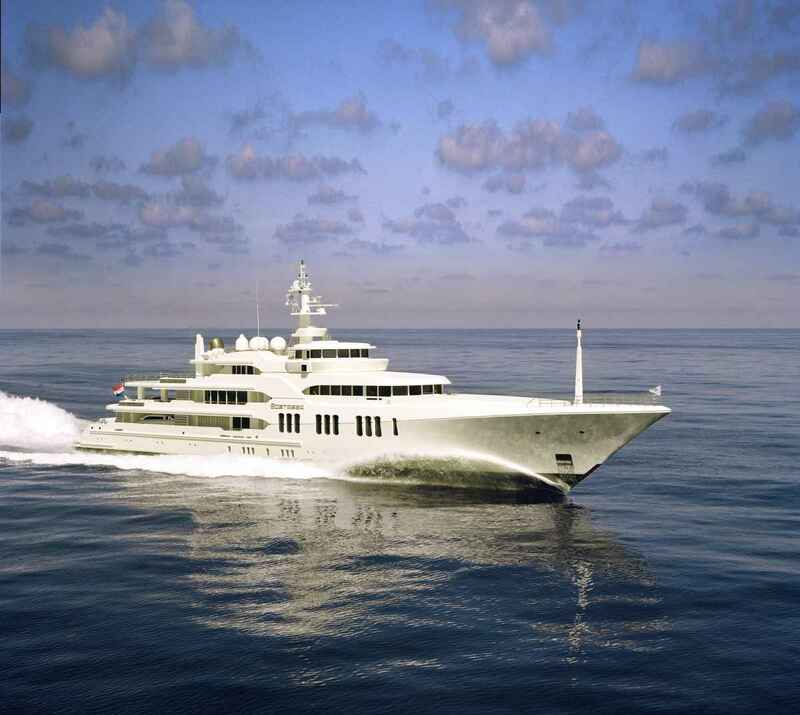 The biggest giga-yacht to date is Azzam which was finished in 2013 by a German shipyard, Lürssen Yachts. 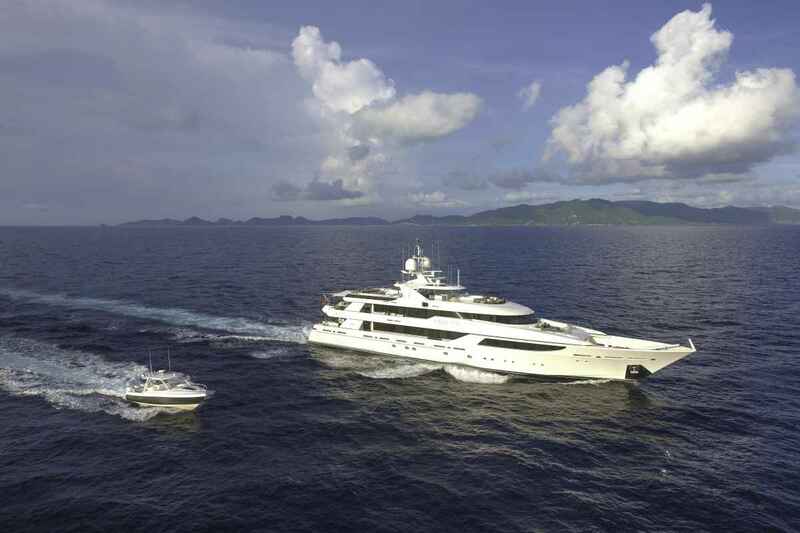 Azzam is 590 feet which is the length of two football fields! It broke the previous record of Eclipse,owned by Russian millionaire Roman Abramovich which was 536 feet. 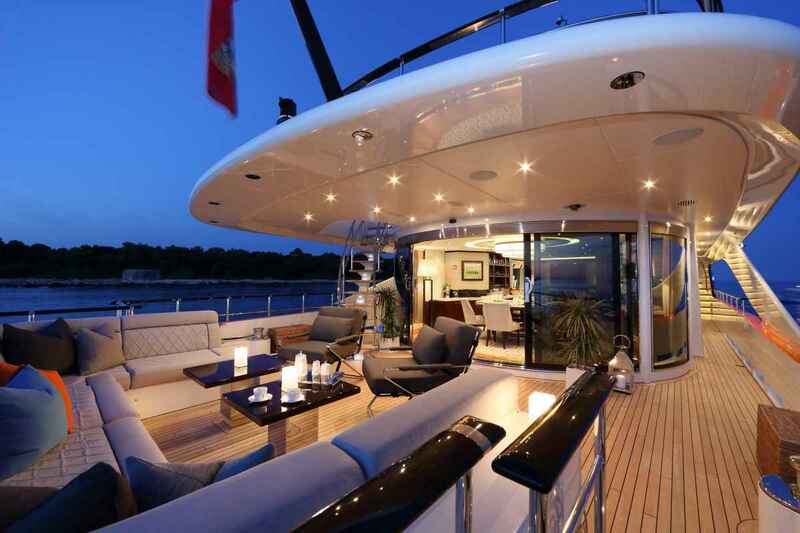 Luxury yachts tend to have a minimum of three decks. The lower deck has a swim platform for easy water access, around four to five guest cabins, the engine room and crew quarters. 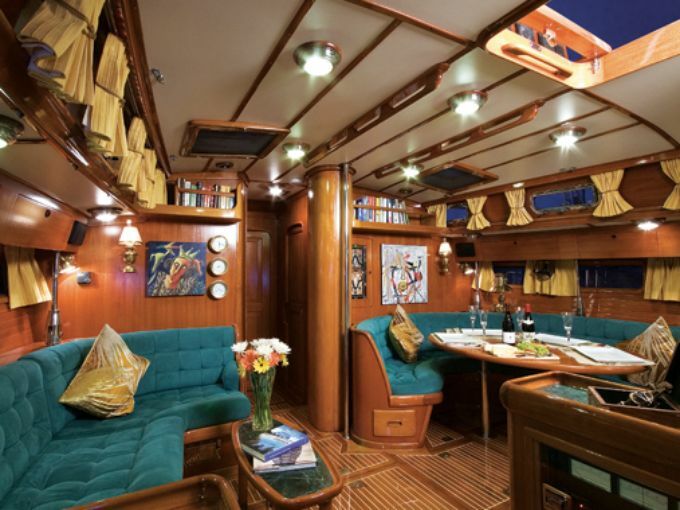 The main deck is where all the action takes place because most of the time it has a galley, formal dining area, salon and the owner’s suite. The upper deck usually has a second salon, the bridge and an exterior lounging deck. 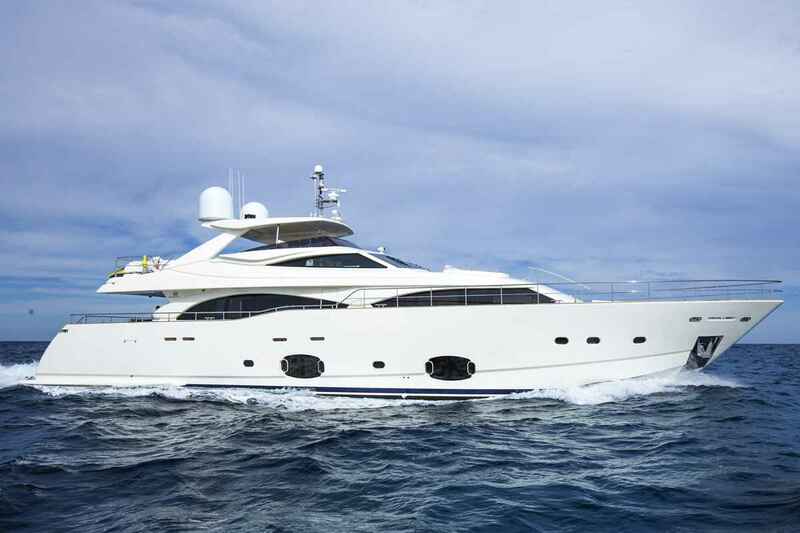 The larger yachts tend to have additional decks for whatever the owner’s heart desires. Although these vessels are huge, they can travel at speeds above 20 knots. While not everyone has the chance to own a super, mega or giga-yacht, it’s fascinating to take a look inside the dream boats that are on the market. 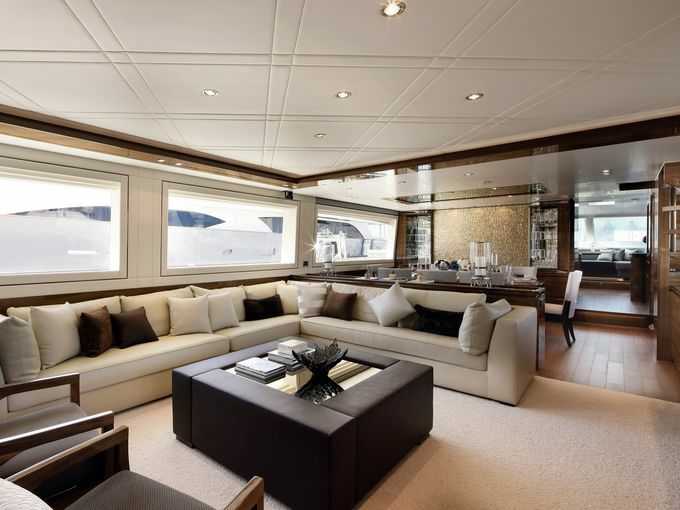 Here is a look inside some luxury yachts listed around $10 million. If you are looking to pure speed in any Bradenton Yachts, then these 9 yachts may be the best of the best. Take a look below and imagine yourself out on the open water with these. Soon after the arrival of the 150-foot-long luxury yacht Bella Vita Wednesday afternoon came a ton of chatter as to who might be visiting Newburyport. Tom Brady and Giselle? Taylor Swift? Donald Trump? Surprisingly, it was none of the above. Paul Hogg, Newburyport harbormaster, said the passengers were from Fort Lauderdale, Florida, and were only briefly visiting. They started their journey in Portsmouth, New Hampshire, and were on their way home when they decided to stop in Newburyport for the night. The passengers asked where they could grab dinner and Hogg pointed them to downtown Newburyport. By yesterday morning’s high tide, the passengers had resumed their voyage to Florida. 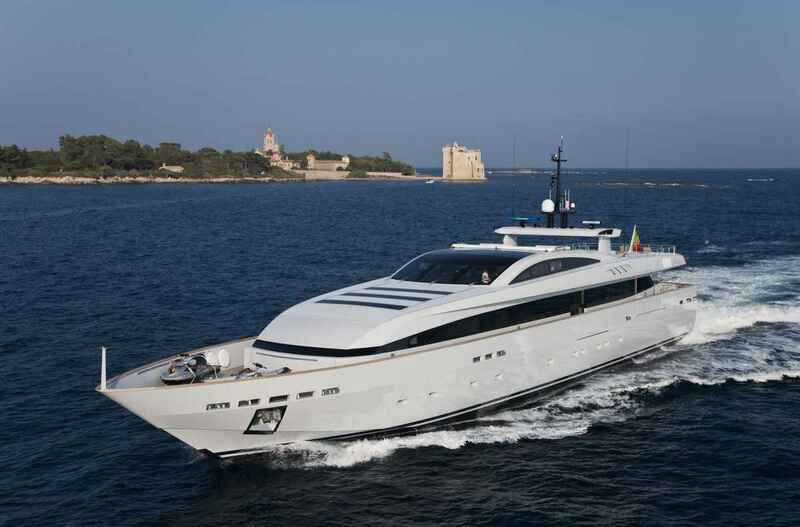 According to the Bella Vita website, the super yacht sleeps 12 people and is 147 feet long. It can be rented for voyages across North America in the summer for $189,000 per week. 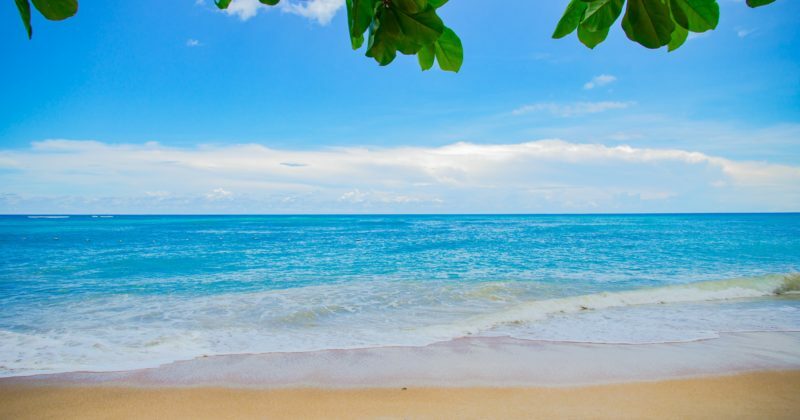 Winter rates climb to $245,000 per week for trips around the Caribbean. 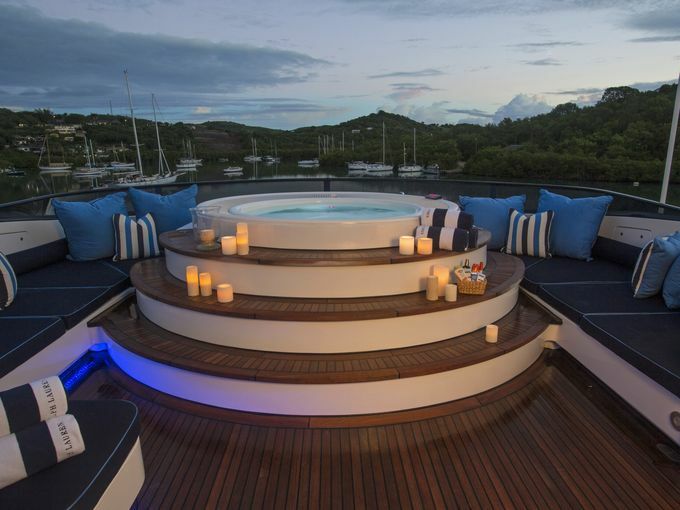 The main deck offers a full beam master cabin with king size bed and en suite Jacuzzi. The yacht also features an exercise room. 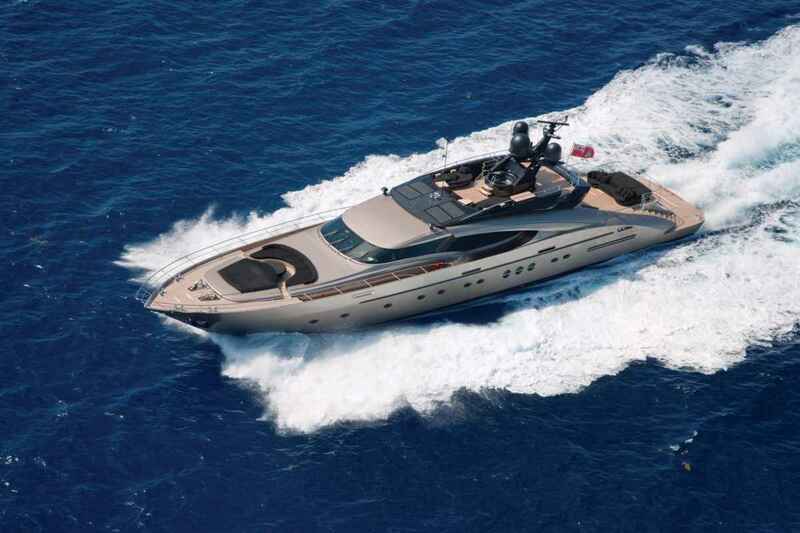 Cruising speed can reach 12 knots and its draft is almost 9 feet. Hogg said luxurious yachts such as the Bella Vita are not an unusual sight in Newburyport. In recent years, the city has hosted yachts 180-feet long with fancy names such as Sweet Escape. Still, Hogg said it was great to see them visit the Port and spend money within the city. On the other hand, we would rather see them spend that money on a Yacht purchase from American Marine instead and enjoy a slip at our Palmetto marina. Just think of how much that $189,000 weekly rate could get you in a luxury yacht out here in Palmetto? 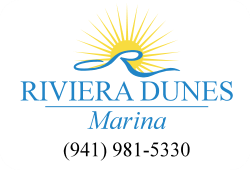 Owning is definitely one of the best things a yacht owner can do and at Riviera Dunes Marina, we believe in that fully. A Florida yacht dealer is planning to build a 656-foot “gigayacht” that would be the world’s largest private yacht. 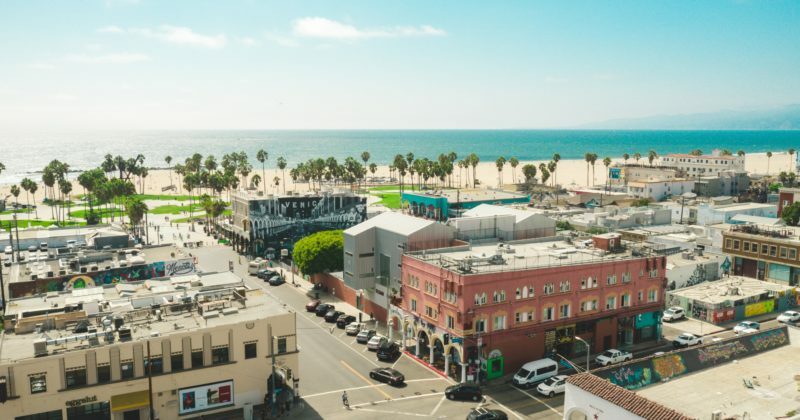 It has all the luxuries that the super-wealthy would want, including room for two helicopters, several swimming pools, and a theater with a stage for live entertainment. 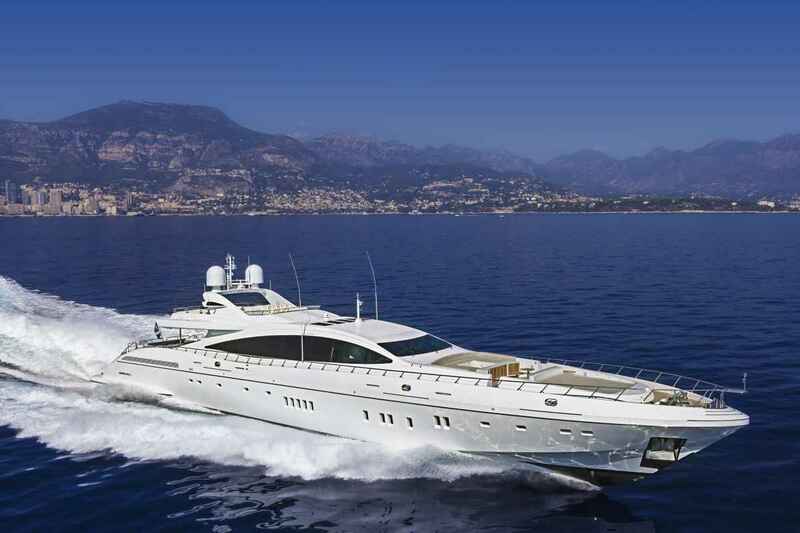 4Yacht, the company trying to find a buyer, says the price point is around $750 million. Currently, the world’s largest superyacht is the 590-foot Azzam, which is reportedly owned by Sheik Khalifa bin Zayed al-Nayan, the president of the United Arab Emirates. The Double Century, created by superyacht designer Christopher Seymour, would be about twice the size of an American football field and just as wide. It has nine decks that rise 88 feet above seal level. Worried about getting lost on such a huge vessel? Don’t fret. The yacht comes equipped with a GPS phone app that passengers can download. Can you imagine a yacht this big and luxurious? Why Charter A Palmetto Yacht? So, what’s so great about chartering a Palmetto yacht, instead of just booking a private villa or a luxurious hotel for your next vacation? If you’re new to the world of super yacht charter, you might not be aware of the extensive benefits it offers. 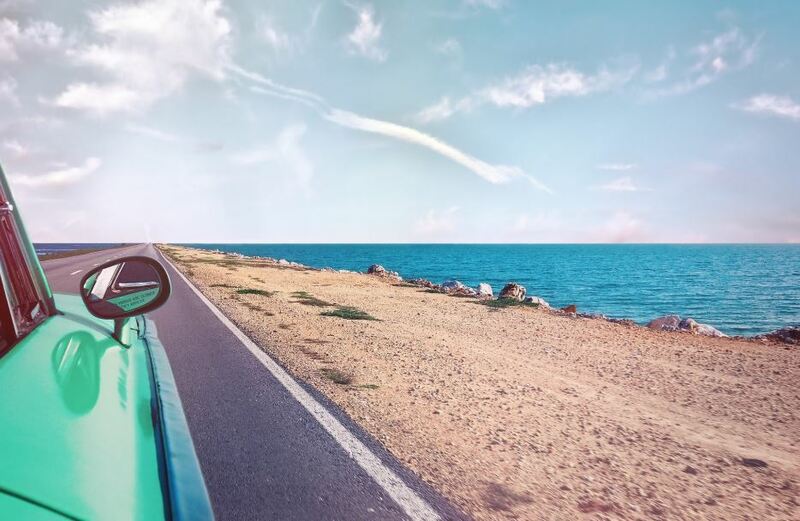 Here are the top five reasons why you should embark on this adventure of luxury! If you spend your holiday aboard a Palmetto yacht, you can rest assured everything will be perfect! Your time on board will be organized based on your desires and dreams. Your charter agent will help you find the best yacht for your trip, and together with the Captain and the crew, create a fully personalized destination itinerary. Picture yourself waking up surrounded by beautiful scenery, a cool summer breeze, and freshly squeezed fruit juice. 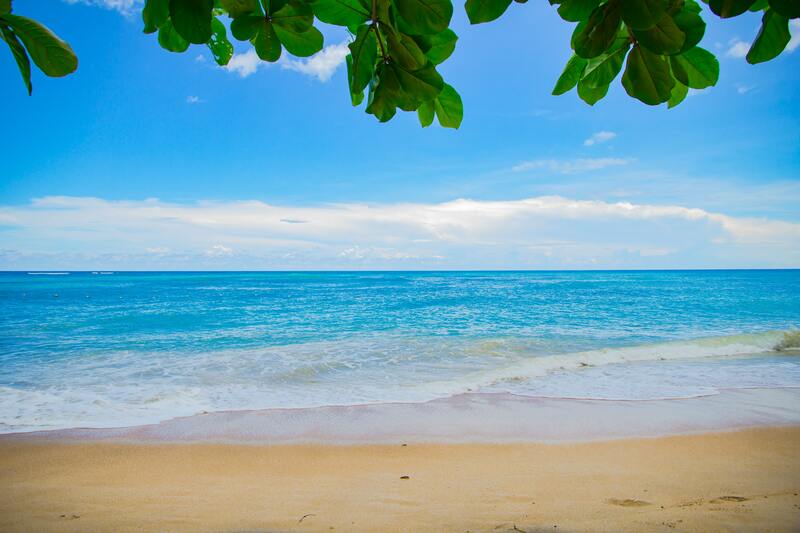 This fantastic feeling will accompany you throughout your entire vacation. A variety of water toys are available for your use, or you can simply relax on deck with a book in your hand. 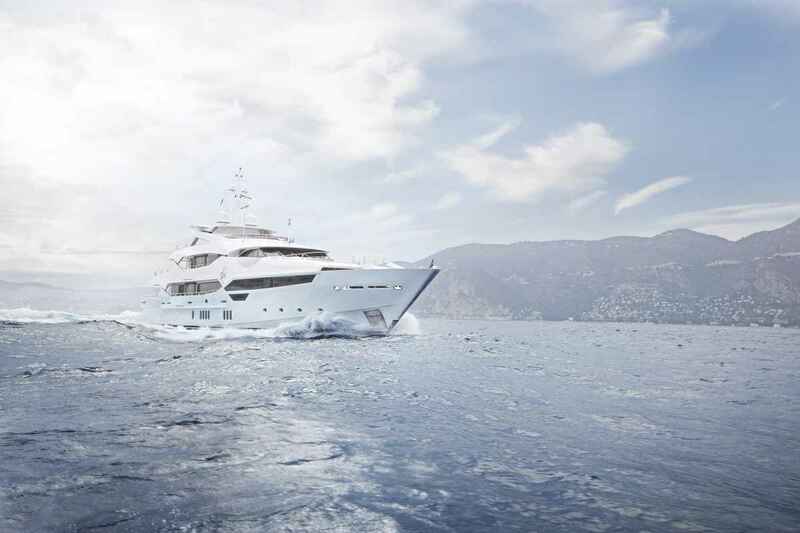 Everything aboard a superyacht has been created with luxury, comfort and indulgence in mind. In addition, crewmembers prepare everything you need before your arrival, so you feel right at home when you step aboard. Privacy is very important to most people. Chartering a Palmetto yacht will help you get away from the crowds and enjoy quality time with family and friends. 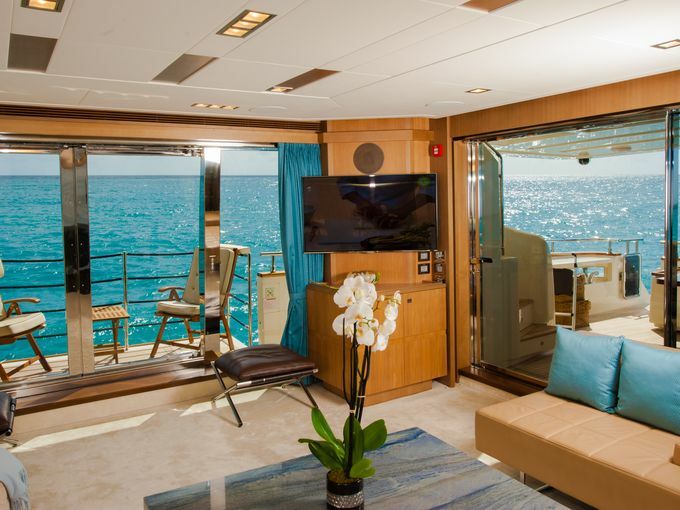 Most superyachts have the crew quarters completely separated from guest areas, which allows for even more privacy without any compromise on fantastic service. During your yacht rental holiday, a highly skilled and professional superyacht crew will look after you. The crew makes sure all your needs and wishes are met, creating the best holiday you could ever imagine. The reasons to venture into the world of yacht charter are endless. There is something for everyone, from fast and sporty motor yachts, to more luxurious superyachts, or traditional sailing yachts. Whatever destination you might choose for your holiday, there is a fantastic yacht just waiting for your arrival.